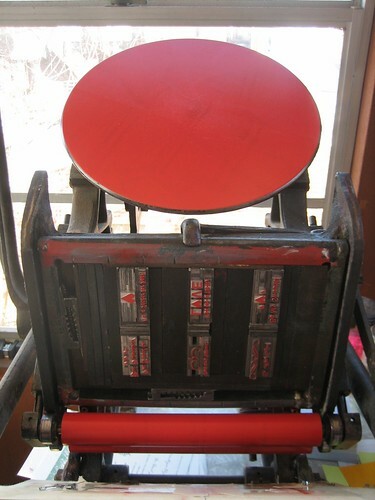 Lock and Key Press is an small letterpress print shop located in Saint Louis, Missouri, and part-time in Chicago Illinois. Founded in 2006, Lock and Key started as a hobby but began to grow as the popularity of letterpress printing increased. Using hand set metal type, wood type, and antique cuts of images, Lock and Key Press creates beautiful paper goods from note cards to wedding invitations using an antique cast iron Chandler and Price platen press. Lock and Key Press does custom work in just about any shape, color or size. Business cards, birth announcements, correspondence, invitations: you name it. Contact Lock and Key Press by sending an email to email me at lockandkeypress@gmail.com . We’ll work with you to design exactly what you have in mind or use an existing design.